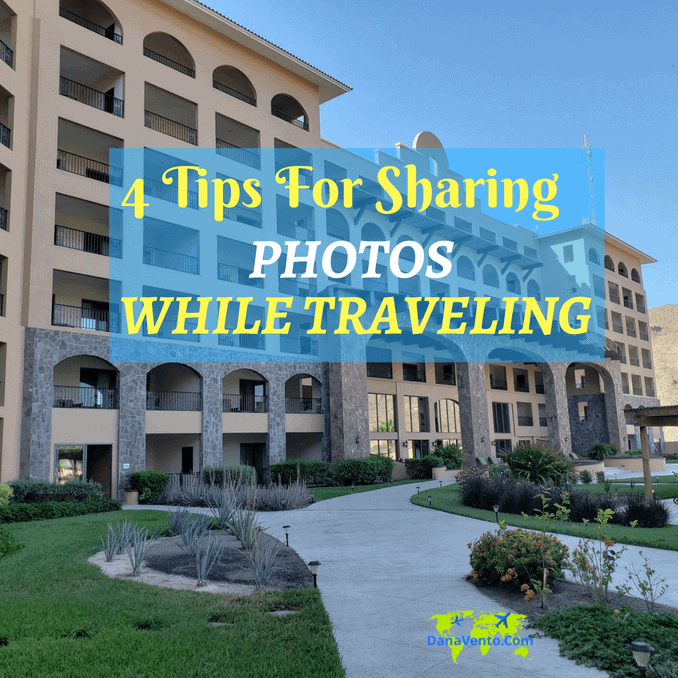 4 Tips For Sharing Photos While Traveling - How Do You Share? My lifestyle of food and travel writing keeps me on the road. The stories that I tell are written from the heart, after discovering an area, and the people. As you all know the best destinations and eateries are backed by a person or a group of people. Stories of destinations are not just about the travel and food but those that create the atmosphere by just being who they are. Wanderlust is one thing, people in the area are another. How do we all communicate if we can’t speak the same language? Or how do you share your photos with those that made each moment so special? A photo speaks worlds of gratitude, yet the way we share photos has so many options. I prefer hands-on, printable shares, while others prefer tech. Lavishly live wanderlust out loud with 4 tips for sharing photos with traveling! Today’s post is sponsored by Verizon Wireless as I am a brand partner, but opinions and images are my own, based on my love of Tech. Before you can snap a photo or share it, you need a reliable cellular service. Here are a few ways I share my photos while traveling, and I hope it inspires you as well! Lifestyle’s today are about ‘INSTANT’ gratification from selfies to family photos. Tech that is pocket-size (smartphone size) is what we all love. There are a lot of ways to share photos. How do you share a photo that you just snapped and loved? I heart my Samsung Galaxy 9+ because it’s almost impossible to take a bad image. Everytime I snap I want to share. Crazy good tech. So what are my options? You might be a SnapChat lovin’ kind of person, where what you Snap is relevant and visible for 24 hours, then it’s gone. Or do you save your Snap stories? Saving truly eats up space, so is that a great idea when traveling the world? I heart IG so much, in fact, I live off of it each day. I painstakingly seek the best photos to share and love on other’s beautiful imagery! Again, saving images in here is a storage killer and while it is real-time sharing, it’s often not my most personal photos or imagery! Now, we are getting to the crux of what I love to use for sharing photos. First, as an Android lovin’ gal, I’ll be honest I snap tons of images. My Galaxy S9+ crushes photos, they are so beautiful with very little effort. Unlike my iPhone X, I do not have to edit to share or work hard to get the right lighting, the Samsung kills it every time! Then, after I have a series of photos, I love to share and I do this easily with a Google Drive link. In fact, my phone autosaves to my Google Drive and I just snap away without ever worrying about storage needs. A link lets those you want to share a small glimpse of those photos you have chosen. Sharing is caring, right? Perhaps one of my favorite tools to share images is real-time printing. I share images on the go with those who enter into my travel life. Want a real challenge? Travel to another country where iPhones and Androids do not reign supreme (ah, yeah it is possible). You can’t AirDrop, you can Google Link Share (but that is a few extra steps). Go ahead, Snapchat, IG, whatever but get more real with instant gratification! What am I talking about? Read my article on the HP Sprocket Photo Printer. It’s a hand-sized portable printer on the go. You simply connect it to your phone via Bluetooth and print. Give that small image to the person who made a difference in your wanderlust! Honestly just watching someone’s face when I hand them an image is priceless! It makes me feel so good! They gave me a moment of incredible and now I can return the favor! The HP Sprocket 2-in-1 is a pocket size printer, literally the size of a smartphone and because it has a wrist strap and is so small you can tote it practically anywhere. The Sprocket 2-in-1 is light and connects via Bluetooth, no worries about WiFi (Yeah!!) No Data charges for this either! In fact, no matter where I go, I carry my portable printer. Now I have a fun cool case to accompany it as well, making the portable printer even more portable! Thank you so much for this review article. Now I can use a printer that can fit inside my pocket. This is amazing! question, when you travel do you bring a portable wifi or do you avail a data plan? Every experience is different in regards to WiFi, So I can’t answer you specifically. It is also a personal choice and budget. A pocket-sized printer? I have to get one! Me and friends needs this so much! This pocket printer! I need to get me one. Never heard of this before. Technology. I didn’t know about this pocket printer! OMG!!! I need to get one! I’m in love with photography in general and I love keeping memories through real photos although I use all social media, especially Instagram, it’s my favorite one!! The portable printer looks awesome! Definitely a great addition when travelling. I am an Instagram fan too the perfect social media for beautiful photos. I enjoyed reading your post. Like you, I’m often off travelling to both near and far flung destinations and a pocket sized printer is definitely something I’ll keep in mind! You have shared some wonderful tips for sharing photos! I totally agree that strong cellular network is a bliss when it comes to sharing pictures on the social media! Ana Ojha recently posted..Warner Bros. Studio Tour, Hollywood | 7 Reasons Why You’ll Love It? TY – yes s strong network is the backbone to any sharing!